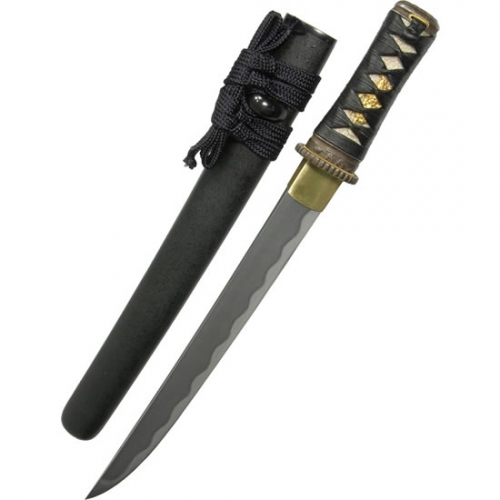 17″ Overall, 5.25″ handle, 10″ Blade Hand forged 10 folds, 1024 layers, HCS 1065 steel tempered differently under the traditional Japanese hand sharpening process. Tuska (handle) wrapped with genuine Ray skin single pegged. 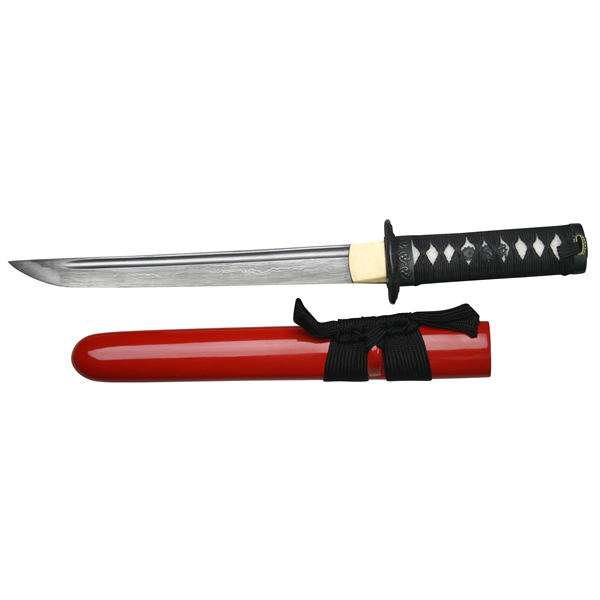 Red lacquered finished scabbard. Includes a deluxe Ryumon Wooden box.